Yoed Anis makes sake in Texas. Born in Israel, but now a self-proclaimed Texan, Yoed began his enterprise in the fall of 2011, propelled by his love of brewing beer and an attraction to a natural connection between the historical tradition of rice-growing in Texas and the potential of brewing sake. Immigrants such as Yoed and Texas rice, the medium-grain variety used to make sake, both have long histories in the evolution of Texas foodways. Since the late 19th century, Texas has been growing rice, a crop increasingly threatened by the recent Texas drought. During the 1880s and ‘90s, several entrepreneurs and companies saw an opportunity to develop rice farming in Texas and Louisiana, where water was plentiful and land was cheap. A group of Texas entrepreneurs met in 1879 in Houston to build a railroad from New Orleans to Houston, connecting Louisiana, known for growing rice, with Texas. This extension of the transportation infrastructure brought immigrants from the Midwest and encouraged innovation. The railroad company promoted cheap land prices and better agricultural conditions for Midwestern wheat farmers who were suffering from a succession of crop failures and a drought. Encouraged by the railroad promoters, the farmers brought their knowledge of wheat crops to Louisiana where they bought land and learned how to grow rice from the Cajun community. Soon after, the John Deere tractor company developed new equipment for rice farmers and the scientists at Texas A & M developed a new variety of rice, one that would not crack under the pressure created by new milling machines. The variety was a cross between long grain Cajun rice and a medium-grain Kyushu rice, a Japanese rice introduced by the Japanese who were hoping to find more land in Texas to expand its own rice-growing capacity. The result was a medium-grained rice suited to the emerging rice industry in Southeastern Texas. Soon the U.S. government joined these entrepreneurs and companies to support the growth of mills by adjusting freight rates to encourage entrepreneurs to build new rice mills. By the end of the 1890s, Texans joined the Louisiana rice farmers, led by entrepreneur Joe Broussard, who converted a grist mill and brought the tractors, canals, and rice to Beaumont, establishing a long tradition of rice growing in Southeast Texas, near ports where rice shipments could travel to other U.S. cities. By 1902, almost all the rice grown in the U.S. came from Texas and Louisiana. This makes Yoed part of a very long tradition that originated in the 19th century. He is adding his own innovation by introducing sake brewing into a thriving micro-beer brewing culture in Texas, particularly in Austin where microbreweries abound. Reaching out to what remains of the tenacious rice-growing community, Yoed buys organic, medium-grain rice from two Texas farmers and brews sake in a small warehouse in North Austin. 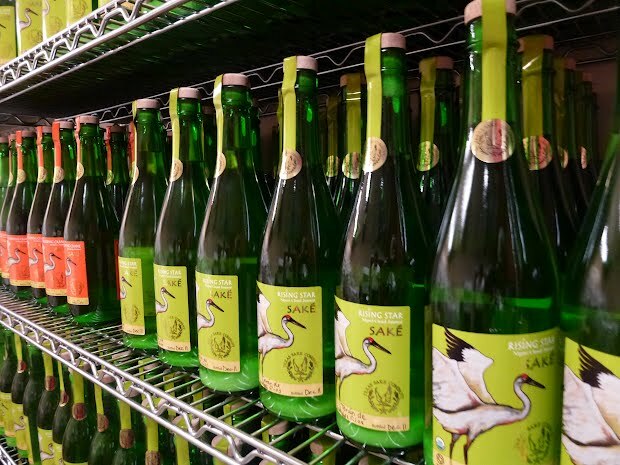 Texas Sake Company produces two varieties, Whooping Crane (a clear, clean tasting sake), and Rising Star (a Nigori sake, sweet, country-style). 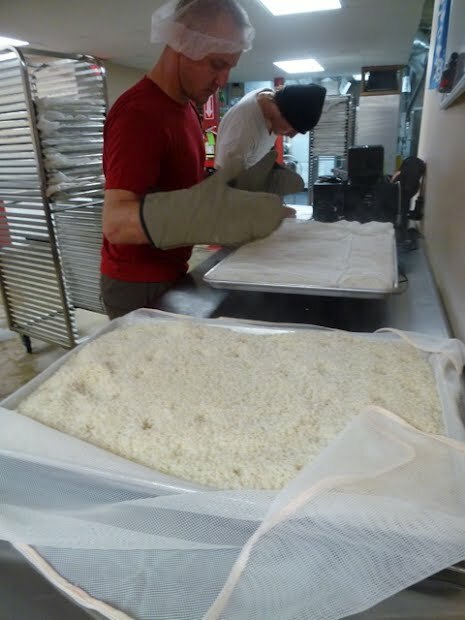 Yoed and his brewers hand wash the rice before beginning a long cold fermentation process that uses sake bacteria. The company only produces 500 hundred bottles at a time, each bottle portraying the Texas whooping crane, an inhabitant of the Colorado River, a source of water for Texas rice farmers. One can only hope that entrepreneurs such as Yoed might find ways to continue growing rice in Texas, even under drought conditions. New technologies might emerge that could adapt rice to dry climates. And innovative ways to use rice, such as sake brewing, might encourage at least some of the remaining rice growers in Southeastern Texas. According to Yoed, the flavor profiles in sake are a perfect complement to Texas BBQ. He is not only leading a sake revival in Texas, but by making a connection between Texas rice farmers, sake, and BBQ, he might find a way to the hearts and bars of appreciative Austinians. This entry was posted in Food Warrior Interns, In the Pantry (food artisans) and tagged food warriors, Real Time Farms, rice, rice grower, robyn metcalfe, sake, texas, texas sake company. Bookmark the permalink.